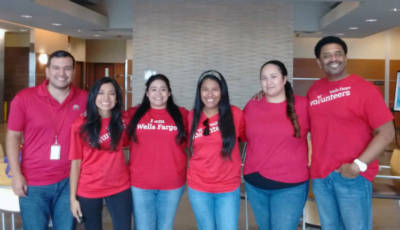 Friends and employees of Northwest Vista College volunteered their time to serve as scholarship judges at the Alamo Colleges application judging event on Sept. 14 at the San Antonio College Nursing and Allied Health Complex. In total, 121 judges participated to review and score over 2,605 student applications submitted between April and September from each of the Alamo Colleges. NVC faculty and staff members serving as judges included, Toni Canestaro, Cathy Gonzalez, Diana Kersey, Minkyung Lee Ph. D., Paul Northway and Cynthia Rosas. Alamo Colleges and Northwest Vista College scholarship awards range from $200 to $3,000 per academic year with an average award amount of approximately $750. The funds are applied to the recipient’s student account for tuition, fees, books and other educational costs. NVC awarded more than $314,000 in scholarships for the 2017-2018 academic year. These include funds raised from the Annual Employee Giving Campaign, as well as donations from businesses and individual donors. Awards for the 2018-2019 academic year are continuously being awarded based on judged application rankings, available funds and students meeting criteria. Members of the NVC Business Council and other friends of the college who volunteered their time included; Joe Perez, vice president, talent and culture, BBVA Compass; Christine Crowley; executive director, Boerne Community Theatre; Sabrina G. Hodges, human resources manager, GM Financial; Januarie Loyd, AVP and senior auditor, Javier Villarreal, vice president and compliance officer and Marci DeMino, senior vice president and director of internal audit, Jefferson Bank; Eliot Lee, consultant, MVHL Consulting; Carmen Botello and Michele Lopez, recruiting specialists, Nationwide; Stephanie Buentello, Mario Burrow, Celenda Charles, Reina Perez, Marisol Reyes and Michael B. Romero, Wells Fargo Mortgages; Betty Myrvang, PHR, Workplace Resource, LLC. If you are interested in volunteering for future scholarship judging events please contact Lynne Dean at ldean12@alamo.edu or 210-486-4135. 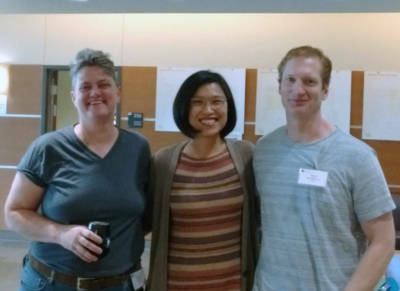 NVC Art Faculty, left to right, Diana Kersey, Minkyung Lee, Ph. D, Paul Northway, at the Alamo Colleges Scholarship Judging event. Representatives from Well Fargo Mortgage, members of the NVC Business Council, volunteered as friends of Northwest Vista College at the Alamo Colleges scholarship judging event on Sept. 14.